His life is exactly the way he’s always wanted it to be...stable. Quick Someone Get the Camera! 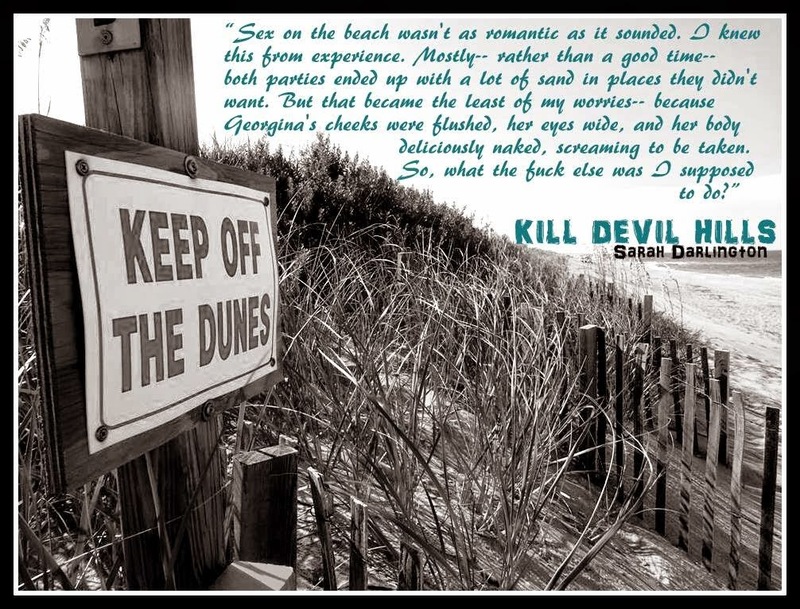 Kill Devil Hills is soooooooooo not what I expected, when I saw the cover and the name I thought ooh paranormal, this should be interesting. Paha! Then I read the summary and was like oops poop! lol! I’m seriously glad I read that before diving into the book or I would have waited a long time for something supernatural to happen! Okay enough of that! This was a punch you in the stomach instant love story! I really liked it, I just wish it was a bit longer and had a little more…”more” but it definitely gave me all of the feels. This was a story about two people who were lost(in different ways) and came together to find the happiness they both needed. It looks like this is going to be a series so I’m absolutely looking forward to what is to come. K-indred, Noah and Ellie have been friends for so long the bond they share gives Noah a certain type of happiness he never knew growing up. Ellie is the closest thing to a sister he has ever had. I-ncident, an unexpected turn lands Noah in the middle of a life altering event he never would have guessed coming. Called to action Noah will do what it takes to save the broken girl before him. L-oss, the pain Georgie feels is too much to bear her past indiscretions haunt her to the point of wanting to join the person who is missing from her life. L-esson, in the face of tragedy Georgie’s family has always come together now they will come together again in the hopes that their daughter finds her way. D-esigned, Georgie’s life was always calculated and carefully plotted by her own doing and that of her friends. Finding out that her world was going to change drastically and voluntarily by her closest ally breaks Georgie’s heart. E-volved, knowing what she knows now Georgie has learned to appreciate things differently and in truth it’s this change that has permitted her heart to open up to the shy and closed off Noah. V-eil, mistakes were made in the past, apologies have been given in the present, perhaps someday rebuilt relationships will develop, but as of now the distance Georgie keeps from her friends is for the better. I-magine, pursuing happiness is something neither Noah or Georgie are experienced at but the pull they feel towards each other is too strong to deny. L-ife, Noah has always sought control and order because he didn’t have it growing up. Being with Georgie and breaking his rules should be a bad thing but he realizes that the only thing that matters is having her near. H-ope, life is uncertain and both Georgie and Noah have issues but together they manage a way of finding the balance it takes towards a deep connected love. Illusion, things may have happened hard and fast -but Noah’s plans are towards the future. He is not misguided and he will do what it takes to be by Georgie’s side. L-ove, Ellie would do anything for her best friend and little sister. Making adjustments and being supportive is part their family dynamic. L-inear, after some adjusting to life Georgie is able to move forward. Life is different than before, it’s more precious, and knowing that she can mend and find a new beginning. S-olutions, Georgie’s past will always remain, as will Noah’s but together they can keep it where it belongs and not let the negativity affect their future. Sigh…Yep these two fell fast and hard but their love felt real to me…Ms Darlington does a great job of conveying that new love urgency you know what I’m talking about the I can’t get enough of you, I want to drink you type of urgency lol. Even though the book wasn’t long and their love isn’t tested it still felt very sincere. Since this is a series, I don’t know if perhaps their union will be tested later on but I love these two together so I hope they make or I will probably cry. Noah’s actions and protectiveness(while keeping a cool head) over Georgie pulled at my heart strings. As for the rest of the characters they had a fun and casual dynamic. There was some conflict but nothing earth shattering. This was a highly enjoyable first book in a series, and I’m looking forward to see whats next. 4.0 White Tile, Four Months, Put Put, Summer Job, Eating Disorder, Ducati, Subway, Camera, Ocean, Coast Guard, Uni, Birth Control, Church, Family Dinner, New Friends, New Love filled stars! For a quick entertaining read pick up this book! 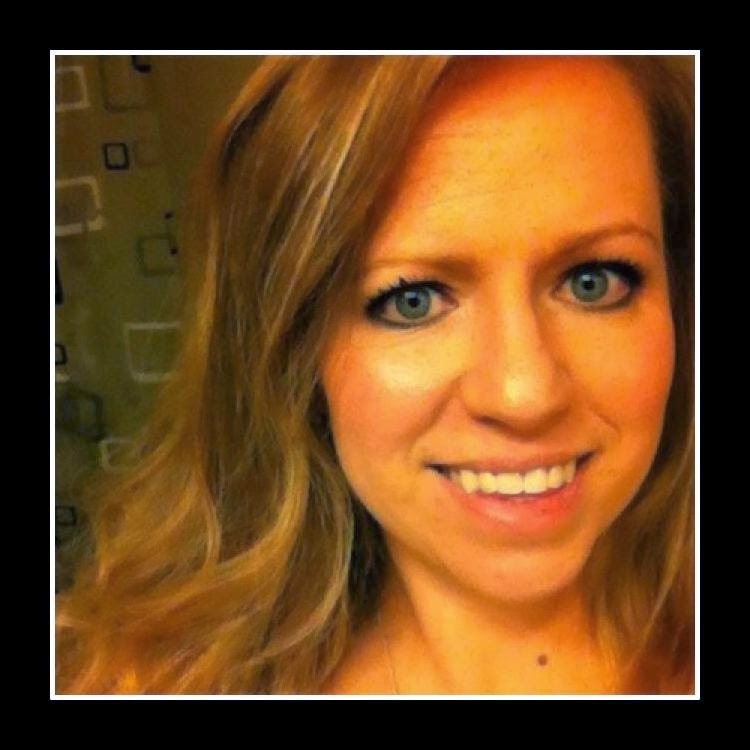 Sarah Darlington lives in Virginia with her husband and crazy-active 2-year-old son. She’s a former flight attendant, day-dreamer, traveler, and wannabe photographer. Her debut novel HE BELONGS WITH ME, a standalone, was released March 2014. 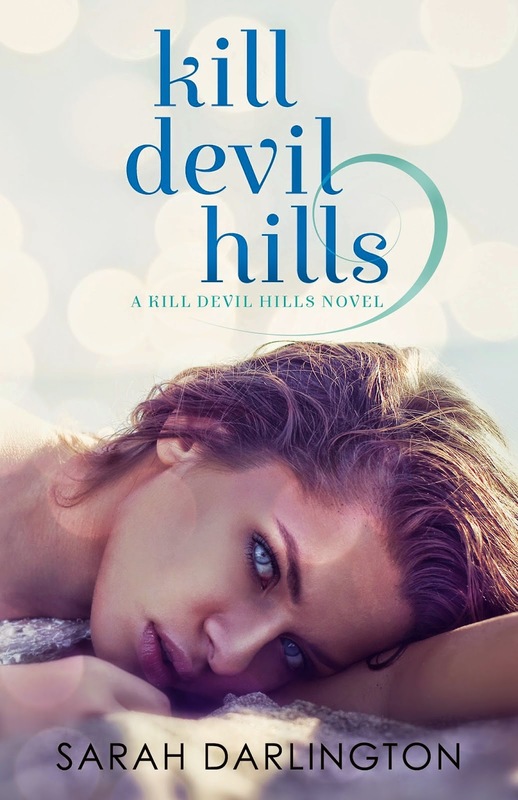 KILL DEVIL HILLS will be the first book of a three book series. 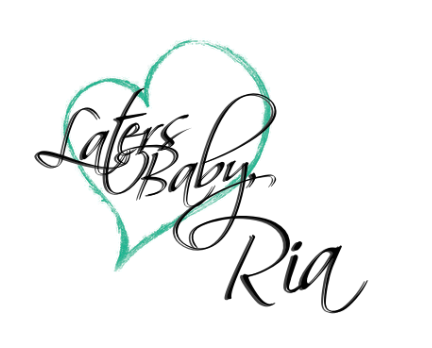 Each novel in this new series will feature a different couple's story. I can relate to needing just a little more from a book. Sounds good, though.